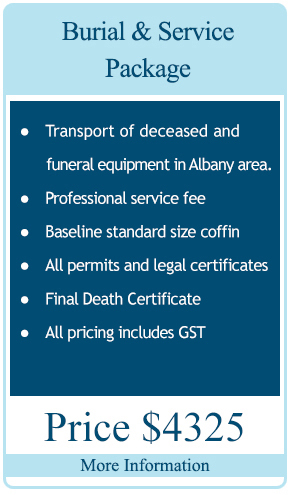 Albany Funeral Directors has helped generations of Great Southern families through difficult times, providing personalised care, support and reassurance – we promise to be there when you need us most. With a strong community focus and the highest standards of professional ethics, our aim is to provide a funeral service that exceeds your expectations, delivering the highest standards with warmth, compassion from sincere staff that take care in looking after the smallest detail. Our facilities enable us to provide creative, flexible and highly personalised funeral services which are greatly appreciated by the client families we serve. 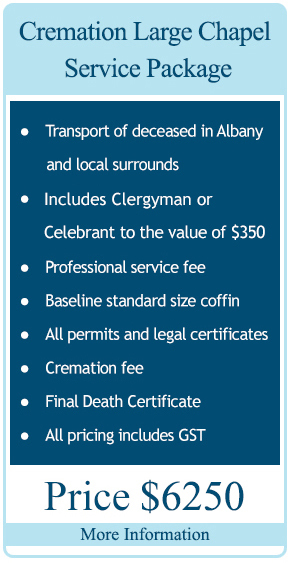 A funeral service can be the single event to collectively pay tribute in many special ways. 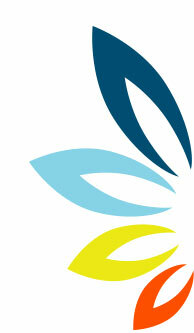 We place great importance on this time when family and friends reflect on a life. We believe that planning a funeral is not something that should be chosen from a list, but individualised in order to celebrate a life in a very personal way. With care and understanding, we listen and can assist you to identify those elements that will make your funeral service as individual as the person you love and celebrate. As professional and compassionate funeral directors, we are conscious of the responsibility, trust and confidence bestowed upon us. We provide a seamless service arranging the entire funeral where understanding professional care and compassion come first. We are available 24 hours a day – 7 days a week. 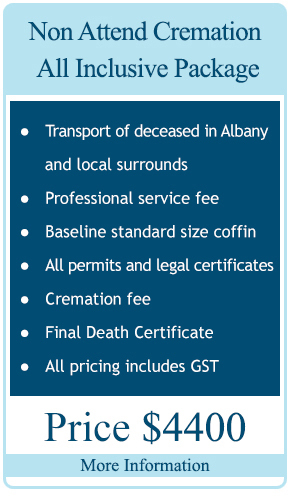 We trust the Albany Funeral Directors’ website will give you all the help and information you need, and an insight into some of the options available to you when planning a funeral service.